It seems like the Indian car market has decided not to create a hue and cry about their new launches and quietly bring in their latest models and surprise the audience. Recently this strategy was displayed by Audi India which launched Audi A4, Audi S4 and even Audi Q3 in the same manner, Mercedes Benz C-Class 250 CDI AMG also came in quietly. 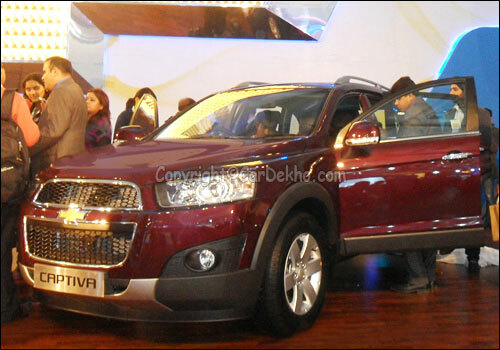 And now we see the next gen 2012 Chevrolet Captiva 2.2 AT premium sports utility vehicle drive in, in the same manner, at a starting price of Rs 18.74 lakh (ex-showroom New Delhi). On the occasion of the launch president and MD of GM India, Lowell Paddock addressed the audience and talked about the popularity of Chevrolet Captiva around the word. 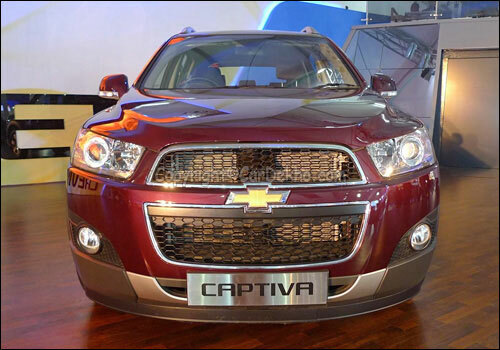 He said that the popularity of Captiva is due to the unique combination of styling, refinement, and best in class safety, comfort, versatility and powerful diesel powertrain. 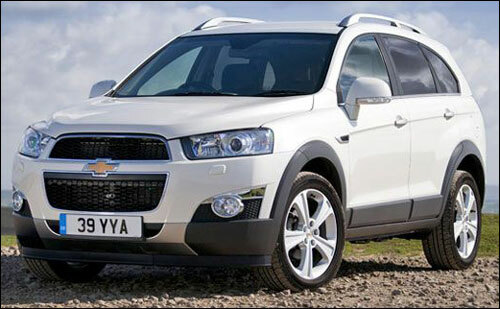 Chevrolet Captiva has rugged looks, bold wheel arches, 17inch alloy wheels and a masculine stance. 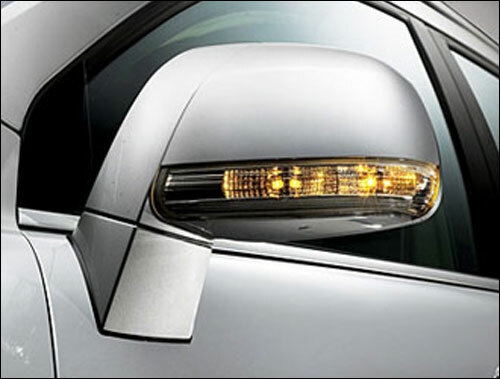 The front chrome grille is divided into two with a thick strip, on which the Chevrolet logo is embedded. The rear has been kept almost similar to the previous version. The tail lamps are placed vertically. 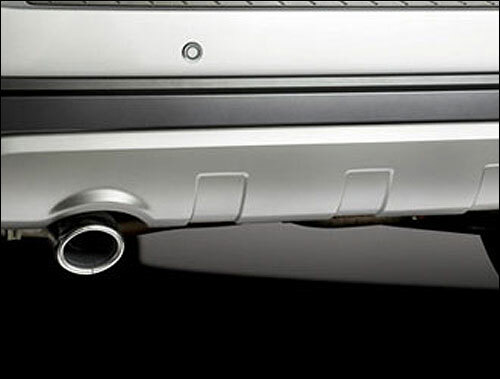 The window sills are lined with Chrome and so is the dual exhaust pipe, which adds to the looks of the GM's latest. 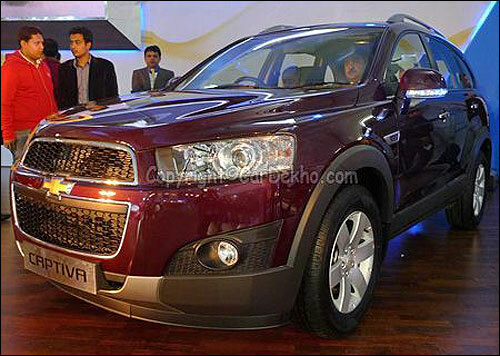 Starting from retractable ORVMs, front fog lamps, split tailgate, projection headlamps, alloy wheels, tinted glass etc. The premium SUV is a head turner. The SUV has an overall length of 4660mm, width of 1870mm, wheelbase of 2705mm, and height of 1755mm along with a ground clearance of 197mm. On the exteriors, the car looks masculine, powerful and sporty. 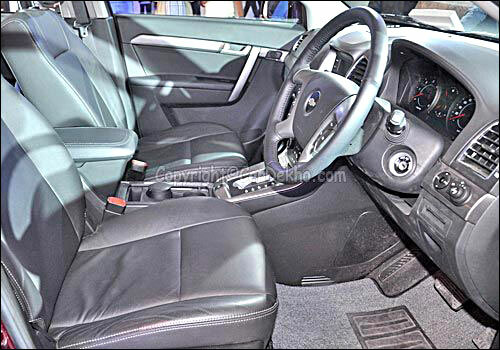 On the interiors, the SUV has a cabin space for 7 people which can be limited to 5 in case there is a need for extending the boot space by folding the rear seats. 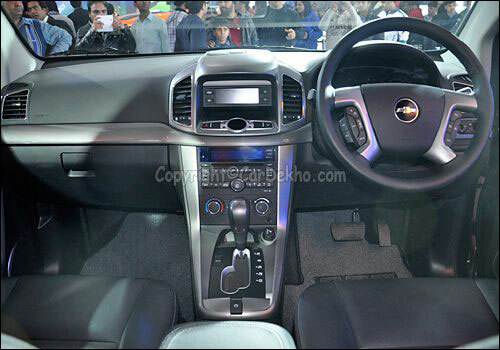 The cabin has jet black interiors which add to the sporty look of the SUV. The SUV comes loaded with comfort features like cruise control, heating for the third row, a powerful air conditioning system, electric parking brakes, sunroof and a very useful rain sensing wipers along with tinted automatic windows, eight way power adjustable driver's seat and climate control. The seating is all leather and the console comes with an integrated CD/MP3 player which adds to the luxury looks and feel of the vehicle. 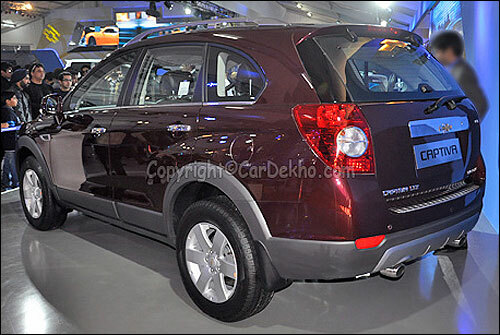 Under the hood the all new Captiva is loaded with a 2.2-litre engine which is capable of delivering 186.5bhp at 3800rpm and a 424Nm torque at 2000rpm. The engine is mated with a 6 speed automatic transmission. The electronically controlled turbocharger would help keep the car stable at all speeds. 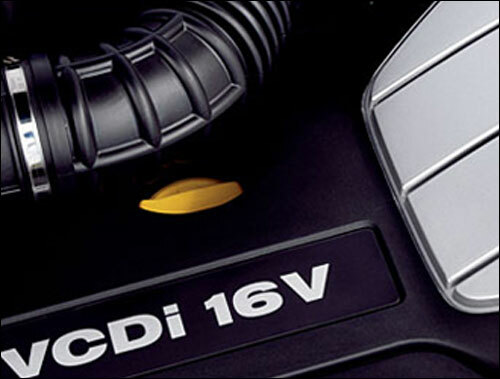 The heart of the SUV is the next gen Variable Geometry Turbo Common Rail Direct Injection (VCDi) diesel engine which is what makes this vehicle powerful and efficient. 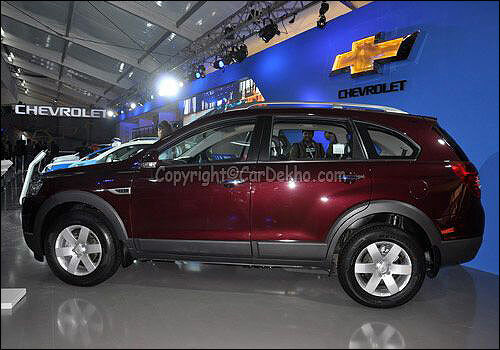 The SUV is sure to deliver best possible handling and drive in the urban areas as well as on rugged roads. For the same, Captiva comes loaded with MacPherson Strut in the front four link independent rear suspension system at the rear. 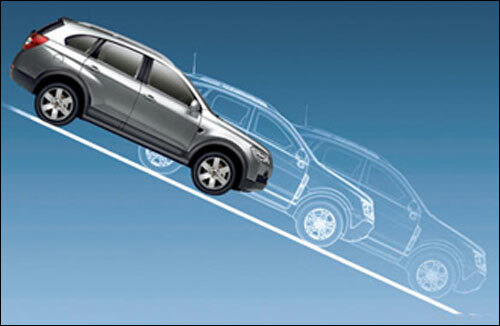 The best part of the Captiva is the level ride suspension system that automatically decides the nominal and best riding height depending on the load conditions, thus helping assure best possible ground clearance even when the vehicle is loaded. 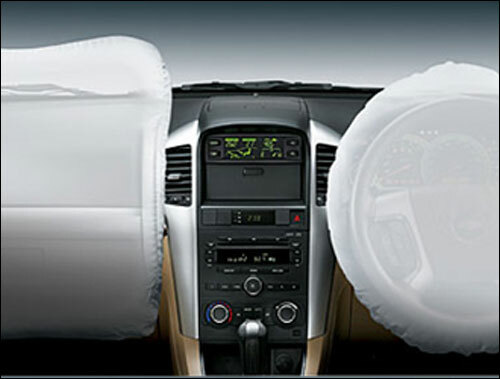 In terms of safety of the passengers, the Captiva 2.2 A/T is loaded with 6 airbags- driver and front passenger airbags, aeat side and roof side airbags. Along with the airbags, the car also comes with height adjustable front seatbelt and also front seatbelt pre-tensioners. The four channel ABS which comes with brake assist- equipped discs that allow most advantageous and optimum pedal pressure in case of an emergency or sudden stops. It seems that this premium SUV is a product of well thought of design, power and styling which is aimed at delivering optimum handling and comfort on the Indian roads. Though GM India delivers best of technology cars but at the same time, it lags in the dealer and service station network, one very important criterion for improving sales and rising popularity charts in India. But the positive of this in current times is that GM knows their flaw and is determined to do something about it. 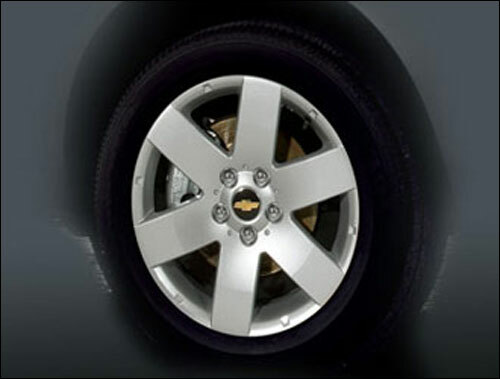 Here is one looking forward to an enhanced experience with Chevrolet India. The Rs 34.62 lakh Mercedes C Class AMG now in India!